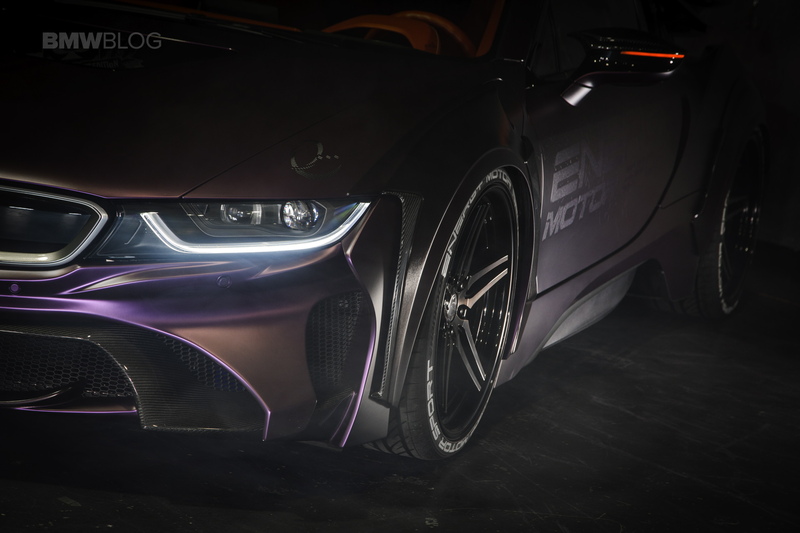 This BMW i8 is by far the darkest, roughest and most aggressive i8 model we’ve ever seen. 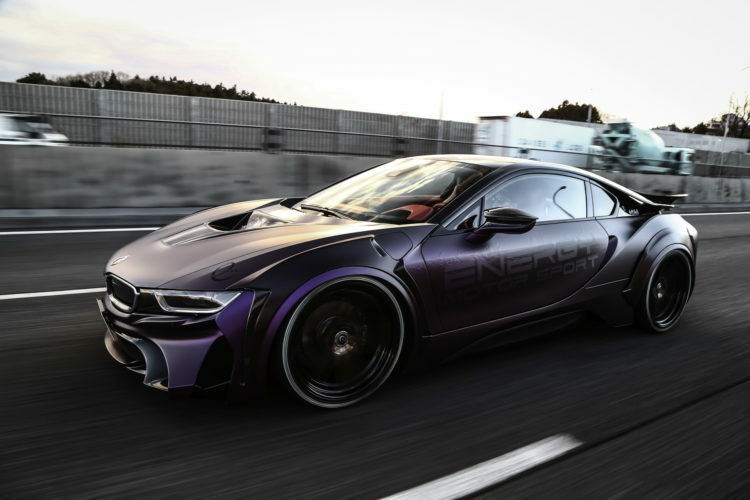 The tuning project was put together by Japan-based ENERGY MOTOR SPORT, a company known for another exotic i8 build featured here back in 2016. 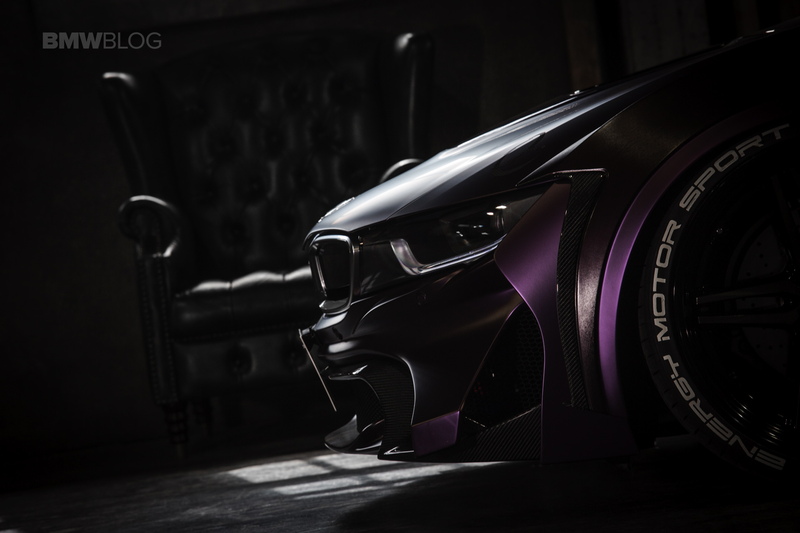 This new i8 is called the Dark Knight Edition and the company says it’s a tribute to the iconic “Batman Dark Knight” movie. 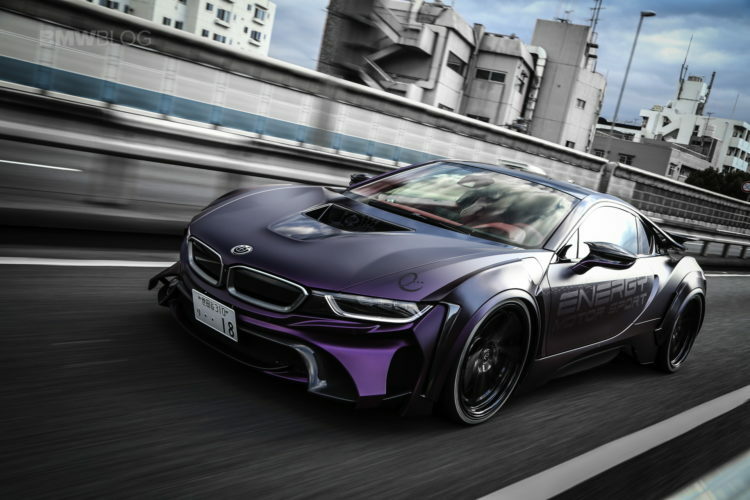 The Batcar started as a based BMW i8 plug-in hybrid which was paired with the aggressive and dynamic kit made by EVO. The i8 Carbon Edition kit includes a highly redesigned front bumper, front and rear over fenders, a massive rear wing and rear flippers. Other upgrades include a new set of wheels, the ENERGY Individual TYPE4 in 21 inches and painted in – you guessed – black. Inside, the EVO i8 features all red leather and a full carbon fiber panel. The sound department was hard at work as well and the Batmobile gets a custom exhaust system which will enhance the acoustics of that 1.5 liter three cylinder engine. 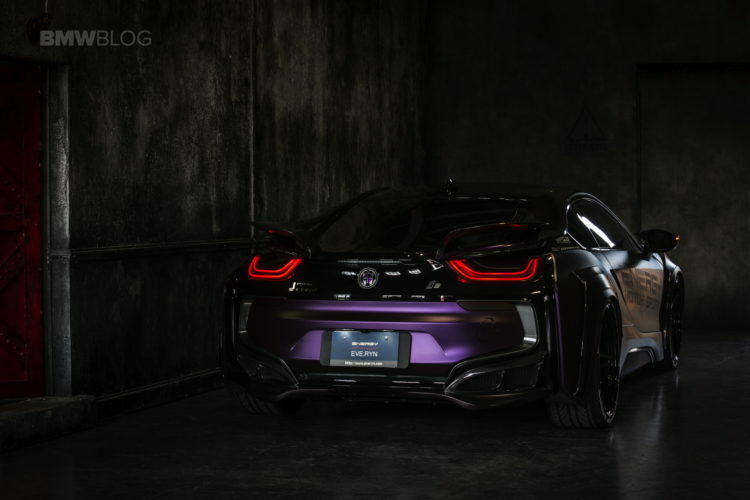 While Batman’s car of choice always stays true to its black color, this i8 goes for the bang with a flashy wrap. 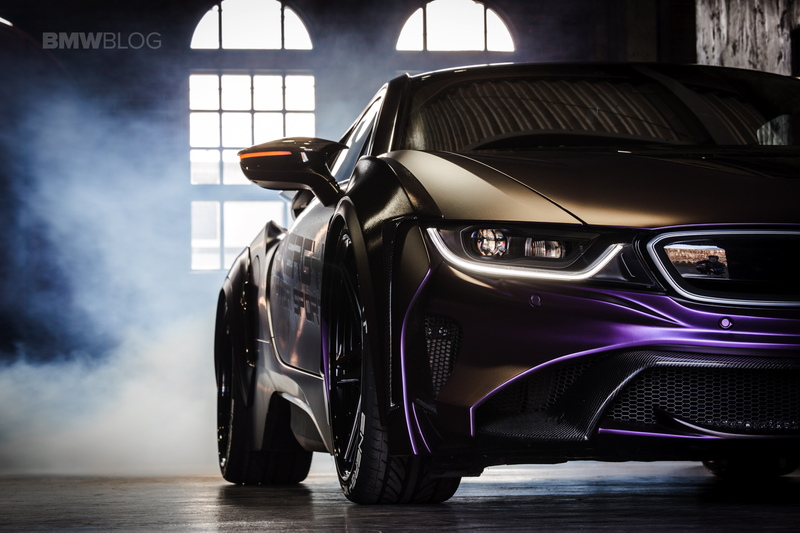 There is actually a combination of a matte purple and gloss purple, paired with brushed purple film. 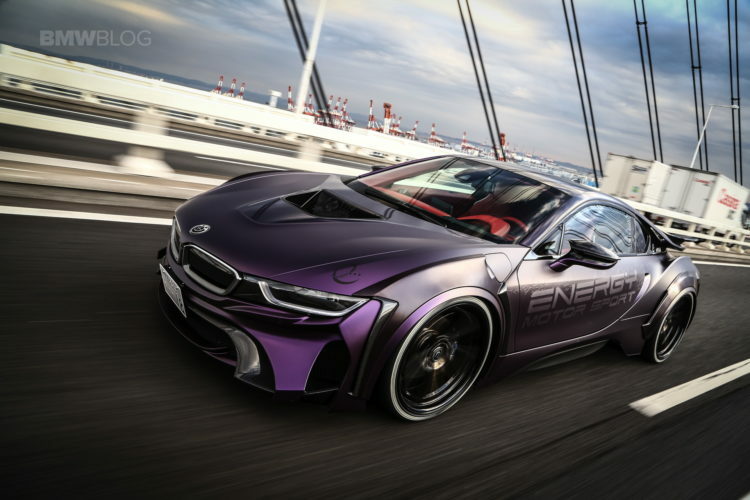 The end result is a BMW i8 which is likely the only one in the world in this shape or color.